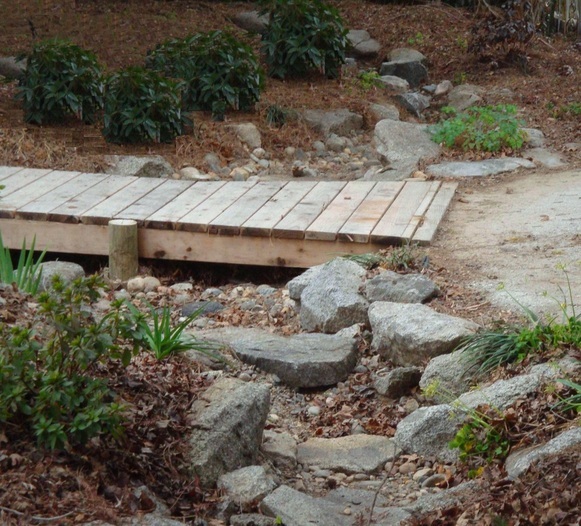 Benefits of a "Dry Stream Bed"
The dry stream can be used in a new landscape as a point of interest, or within an existing landscape to enhance the overall appearance while diminishing water requirements. Where a "dry stream bed" replaces turf, water savings are increased dramatically as conventional watering (e.g. for turf) is no longer required. The addition of drip irrigation to service new plantings adjacent the stream banks is also a water saver over typical broadcast irrigation methods. The dry stream is also adaptable to existing landscapes and can easily “fit the shape of the container”. It is not limited in size as a typical water feature can be – due to expense. 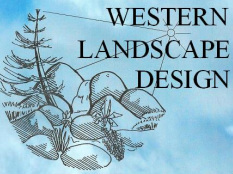 Overall costs, both of maintenance and installation are cheaper with the dry stream bed when compared with other water features, yet the impression made by the feature is similar.